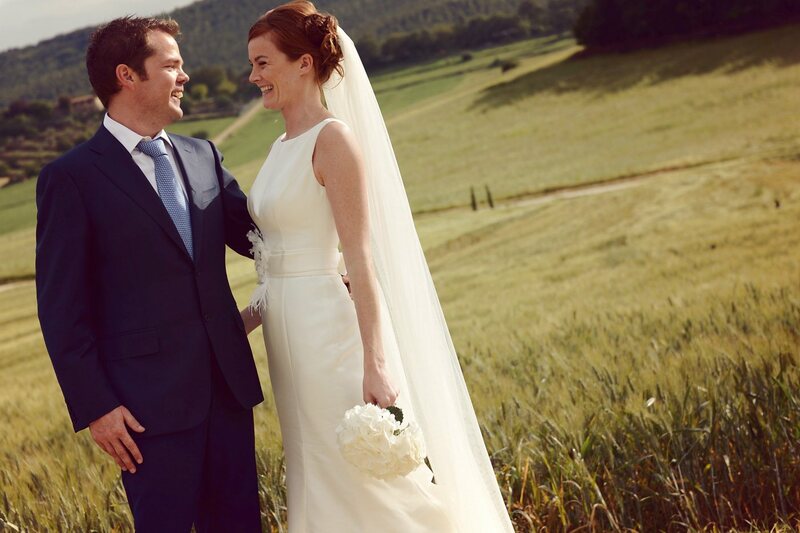 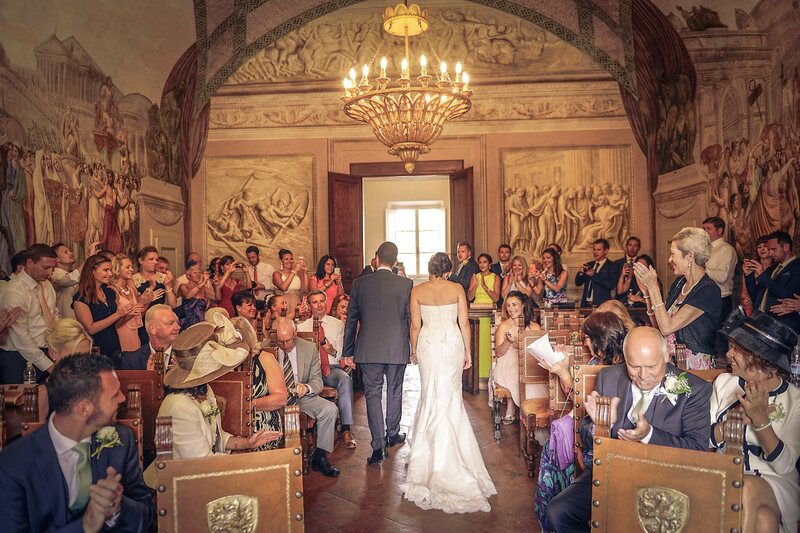 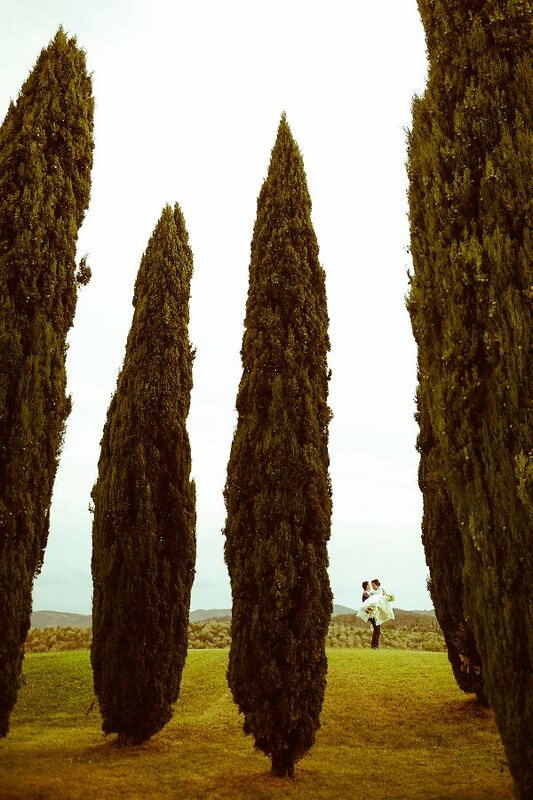 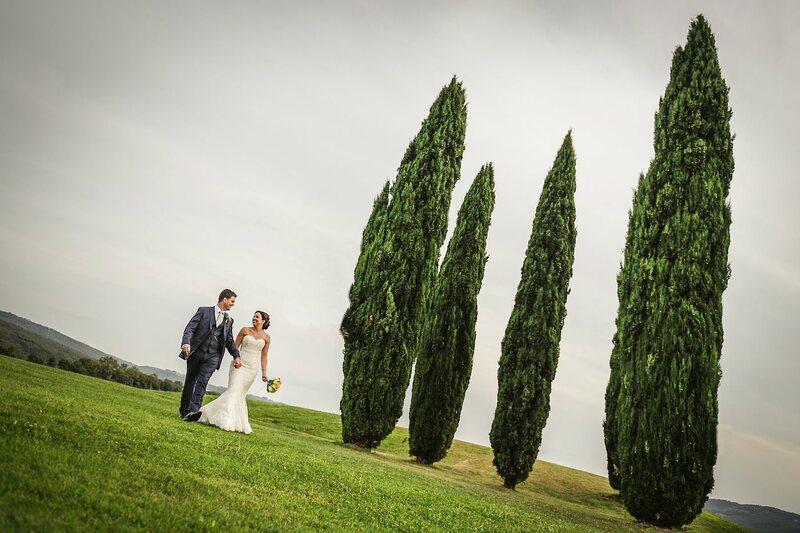 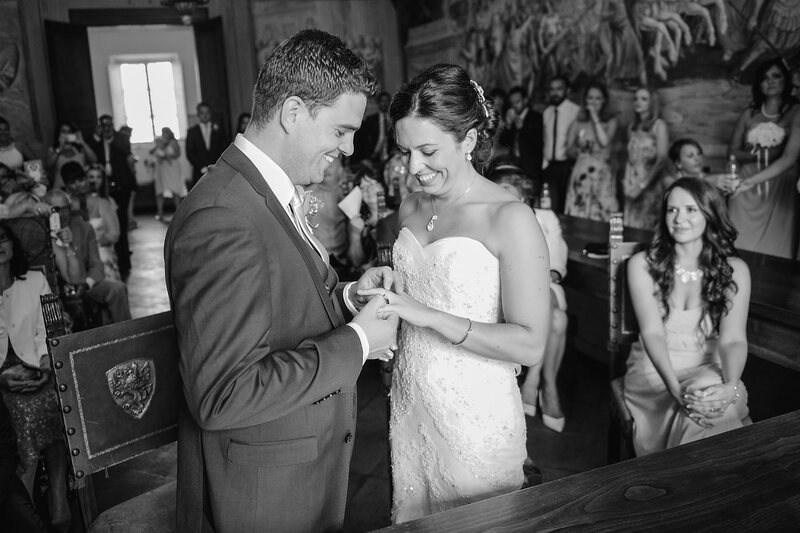 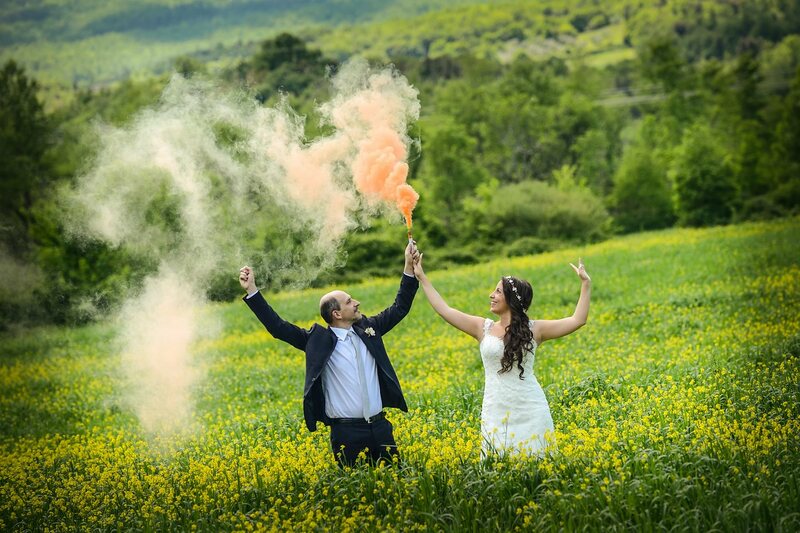 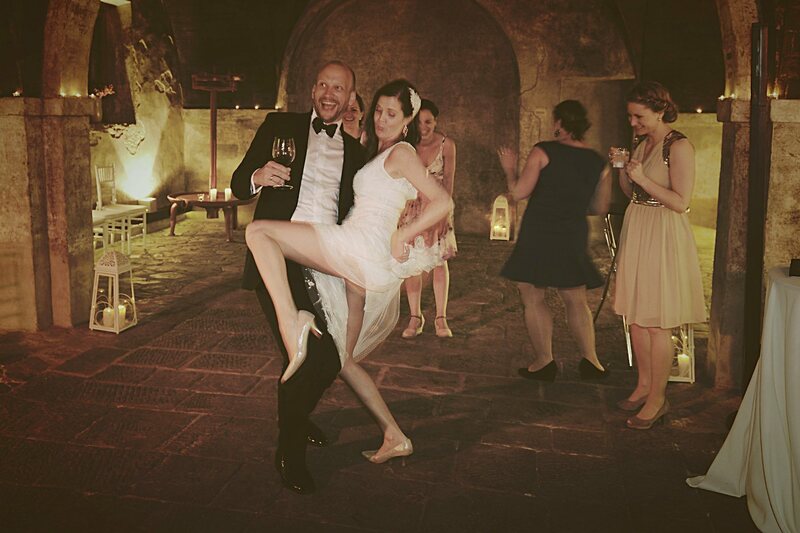 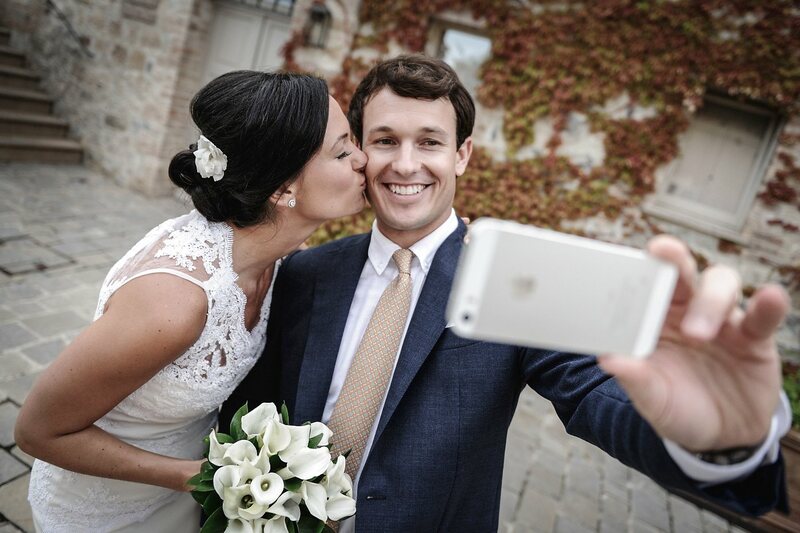 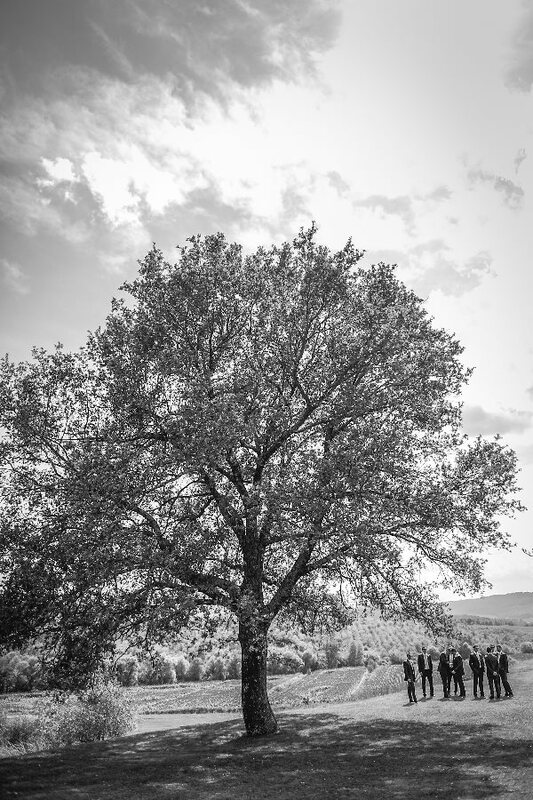 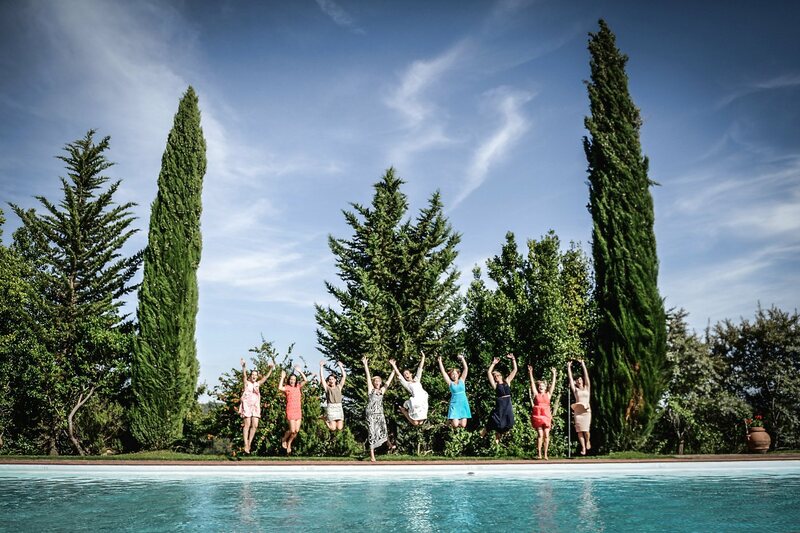 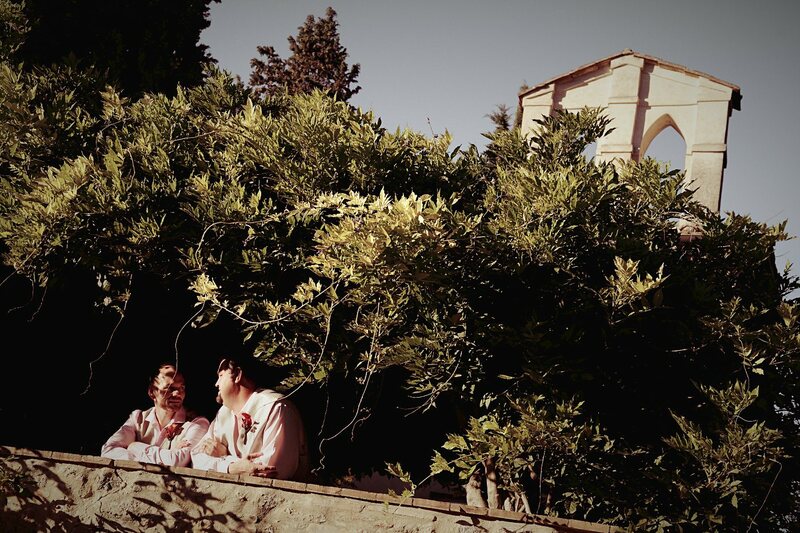 Real Wedding at Lucignano & Castello di Modanella, Tuscany, Italy. 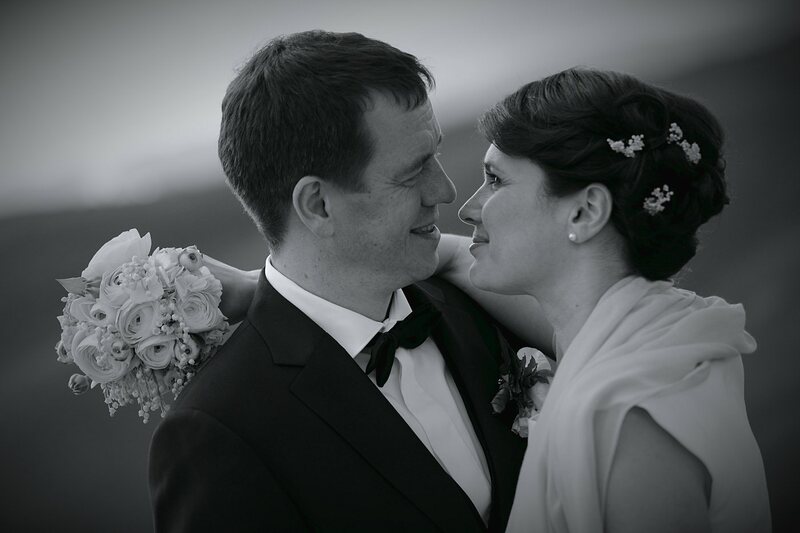 Holly & Craig from England. 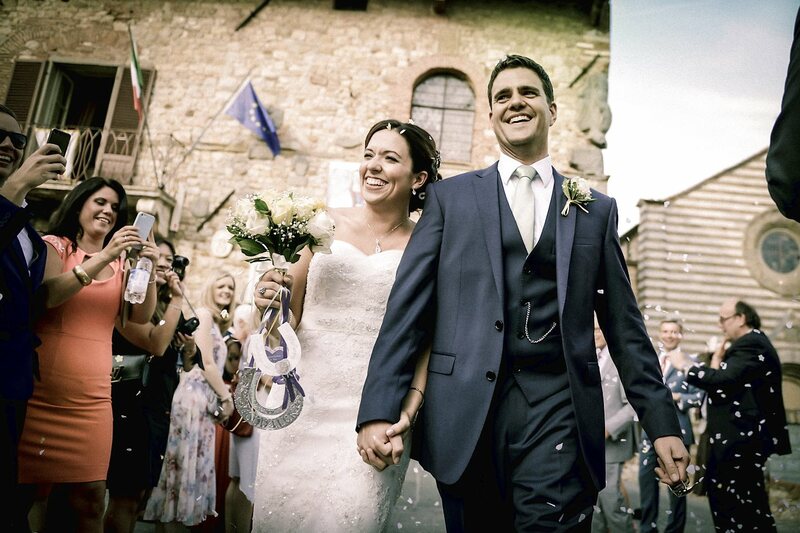 Great wedding day in Tuscany for Holly and Craig from England. 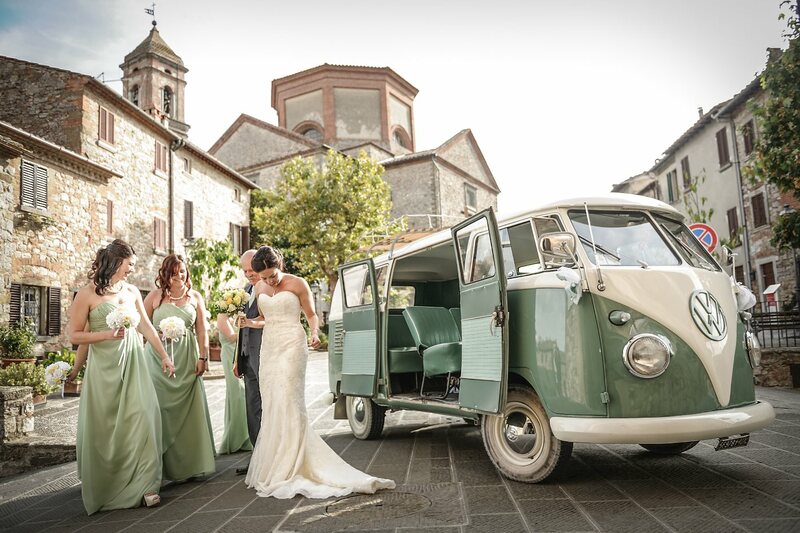 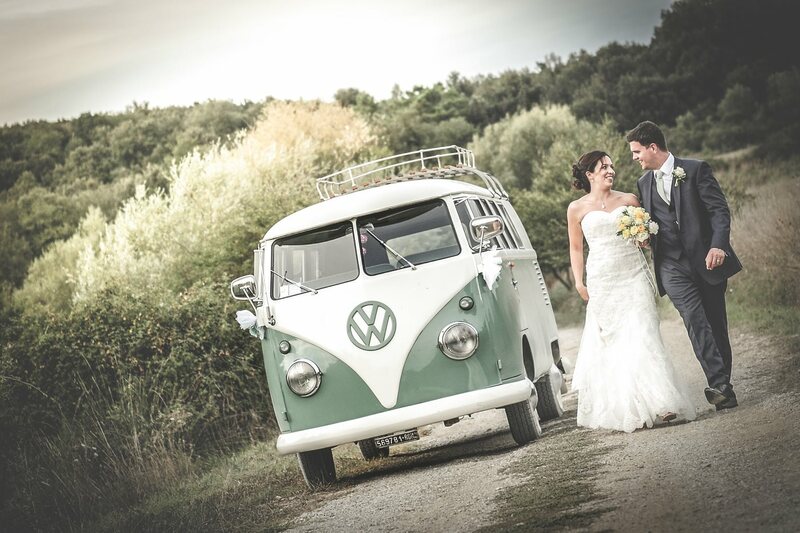 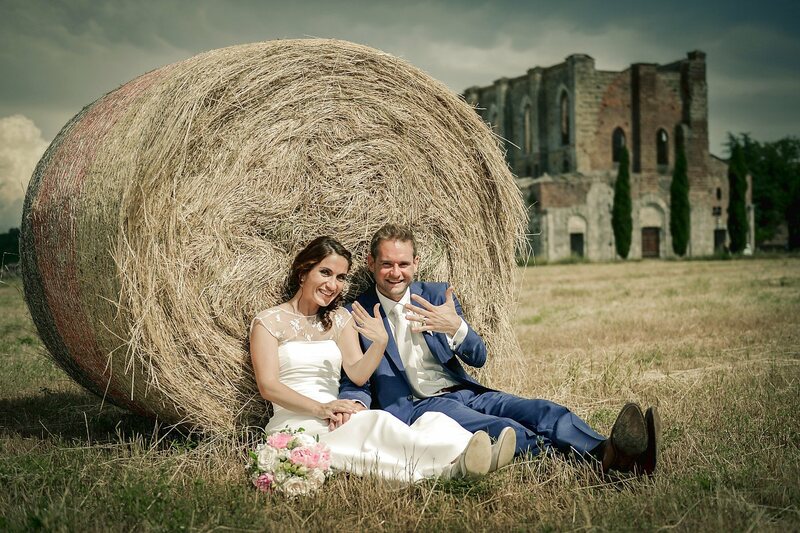 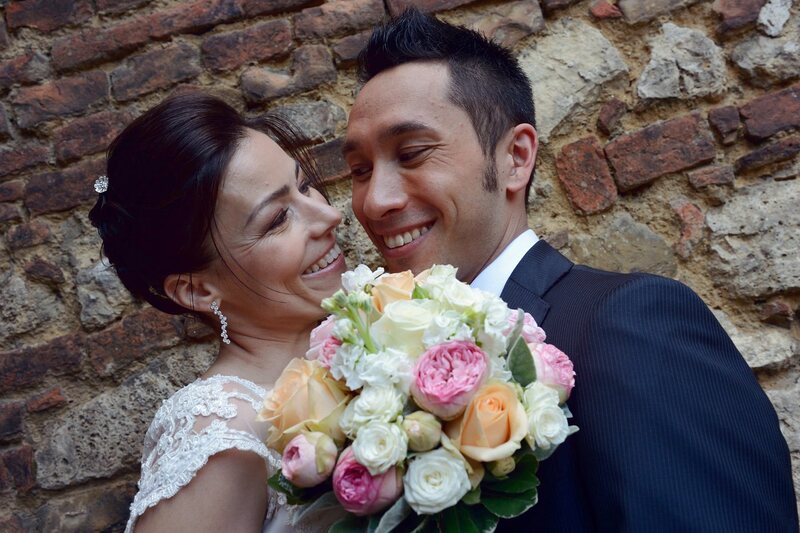 This lovely couple choose a distinctive and typical Tuscan place to celebrate their wedding, the couple used also for their travels from the castle to town hall an old minivan volkswagen, perfect choice for a wedding in country style. 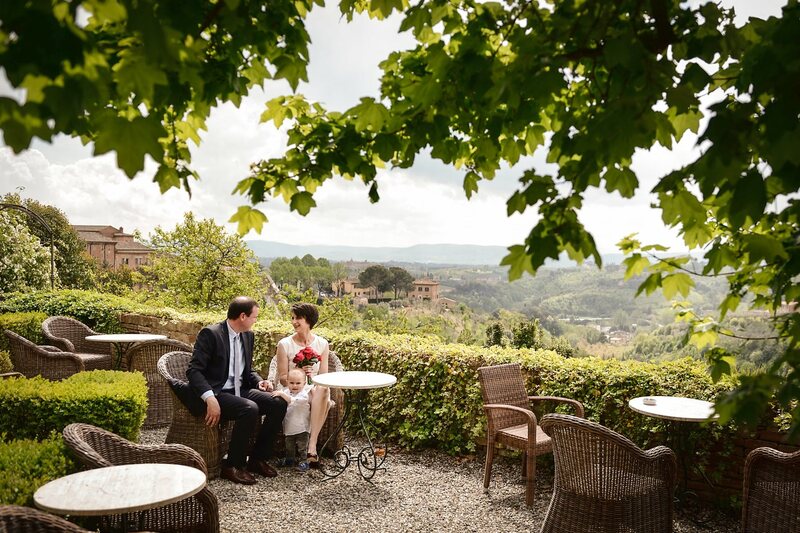 Preparations started at the castle of Modanella and the Civil ceremony in the small town of Lucignano, not very far from Modanella. 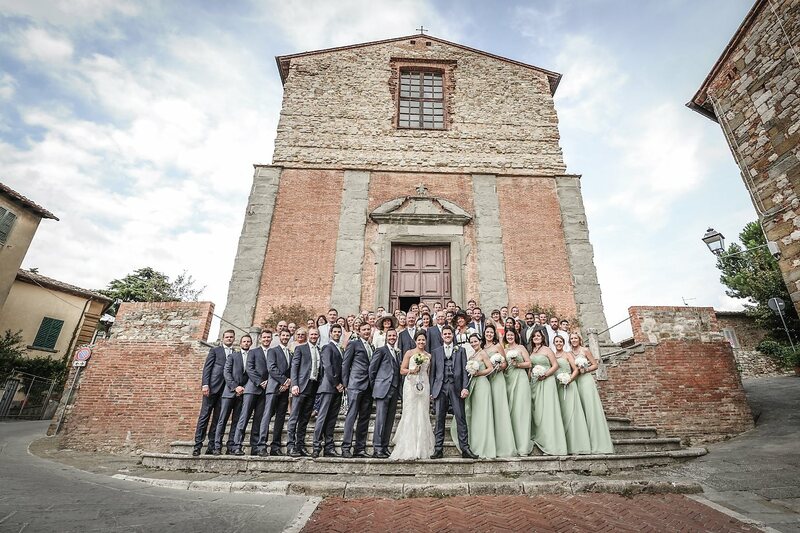 After the ceremony photos in the countryside and then a big party at the Castle, Perfect day, congratulations! 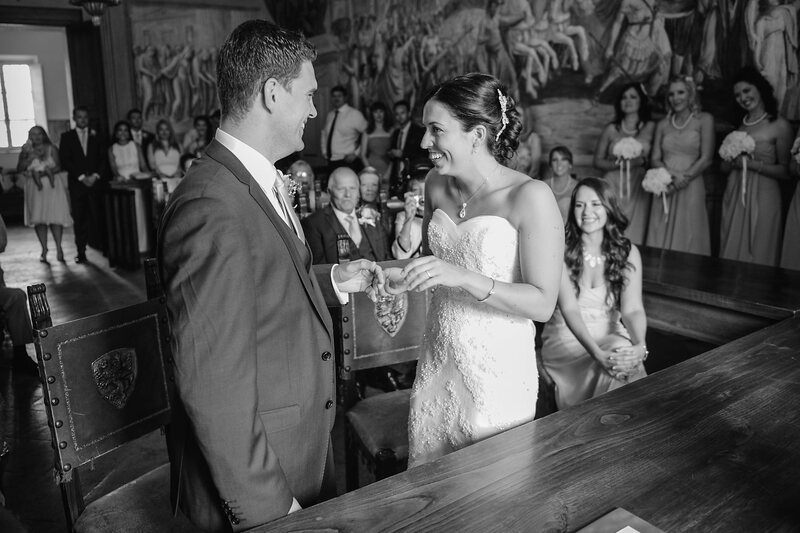 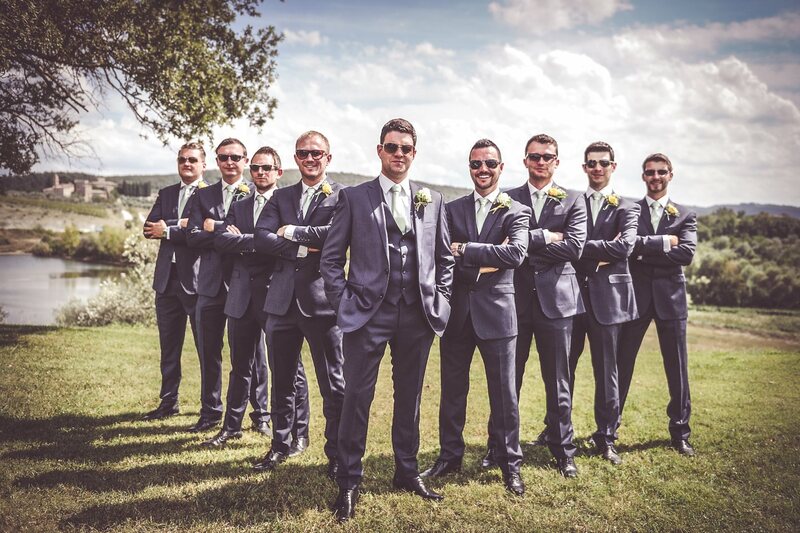 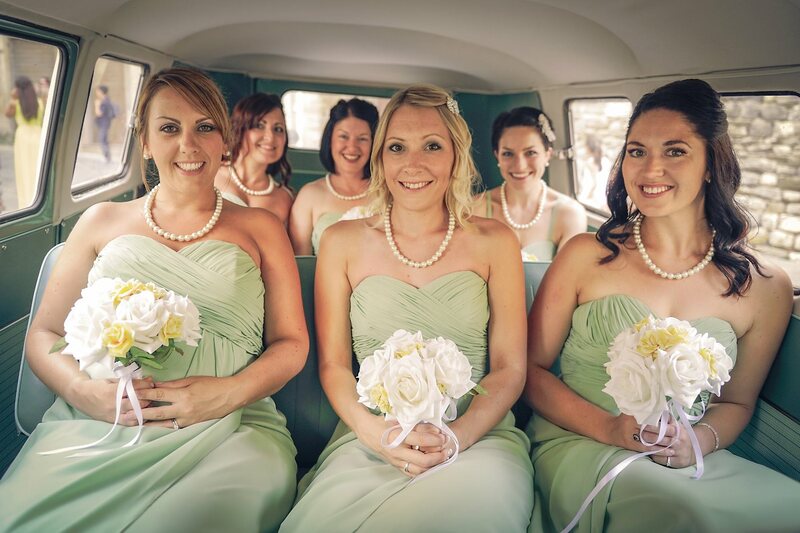 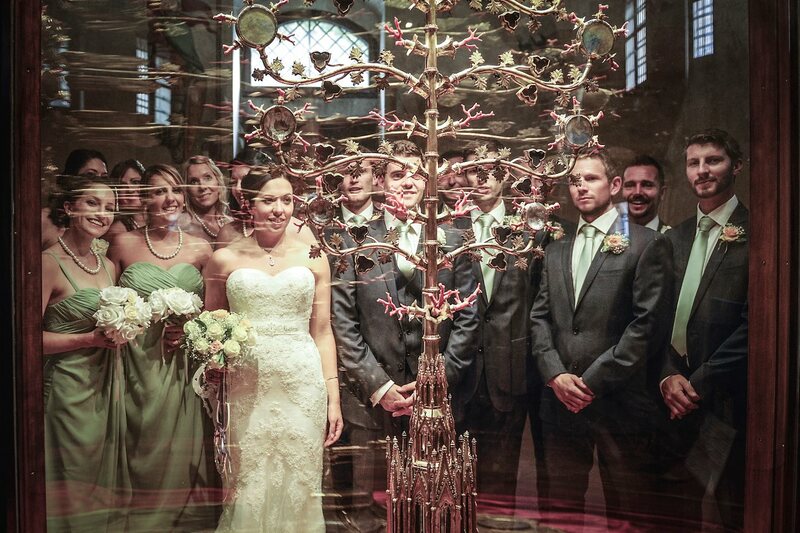 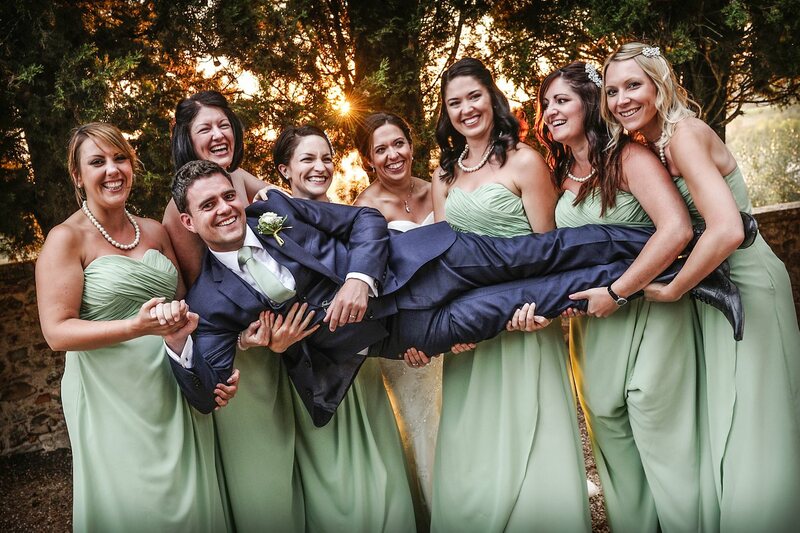 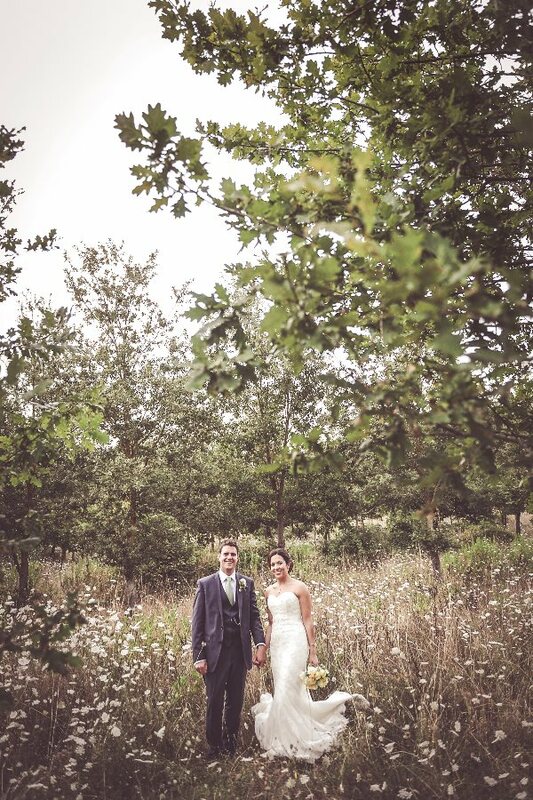 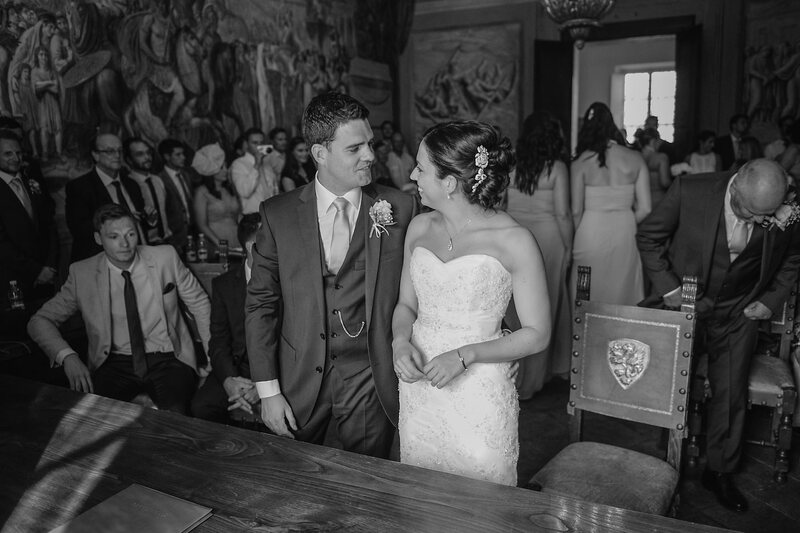 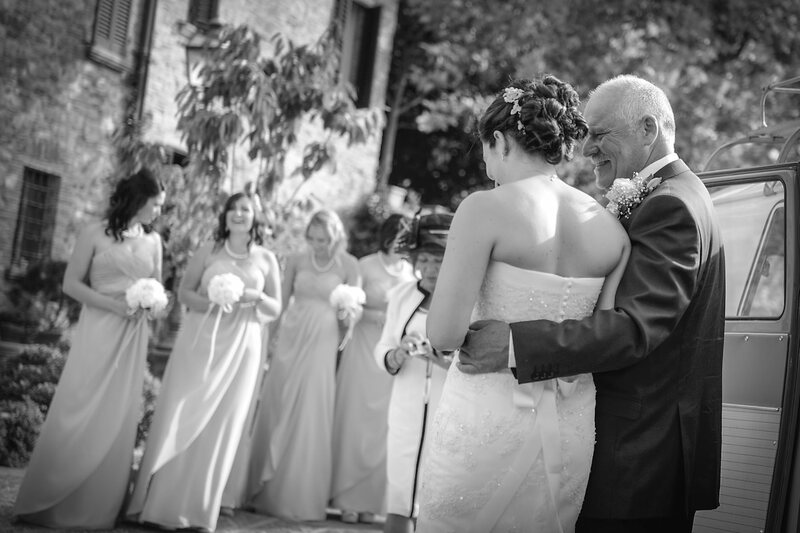 Thanks for the fantastic photos of Holly and Craig's great day. 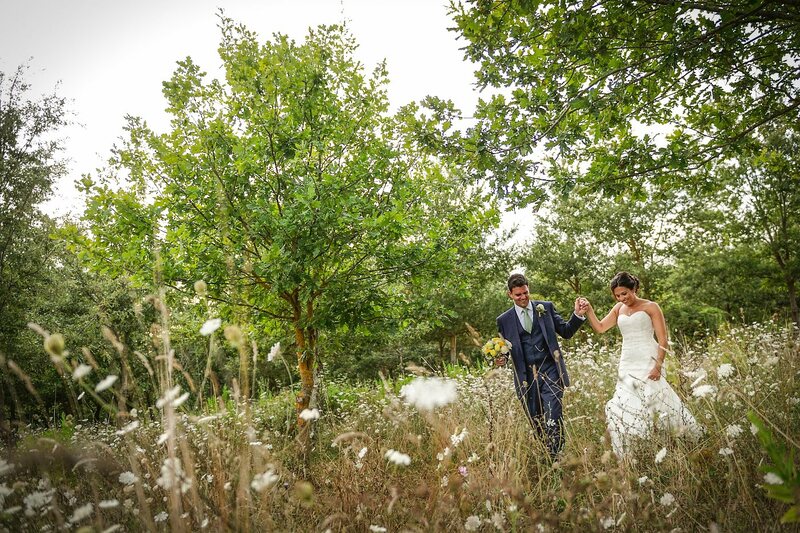 They are beautiful shots, we are so pleased with them! 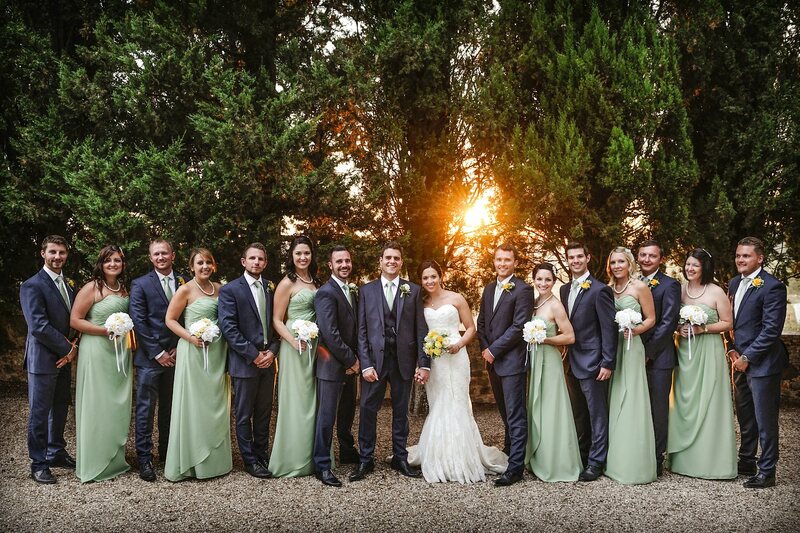 Congratulations to Craig & Holly! 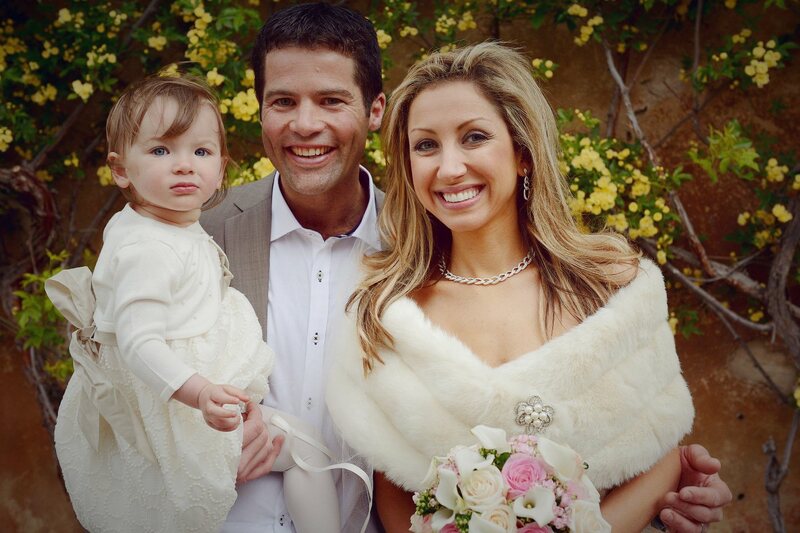 Holly, you look trully amazing. 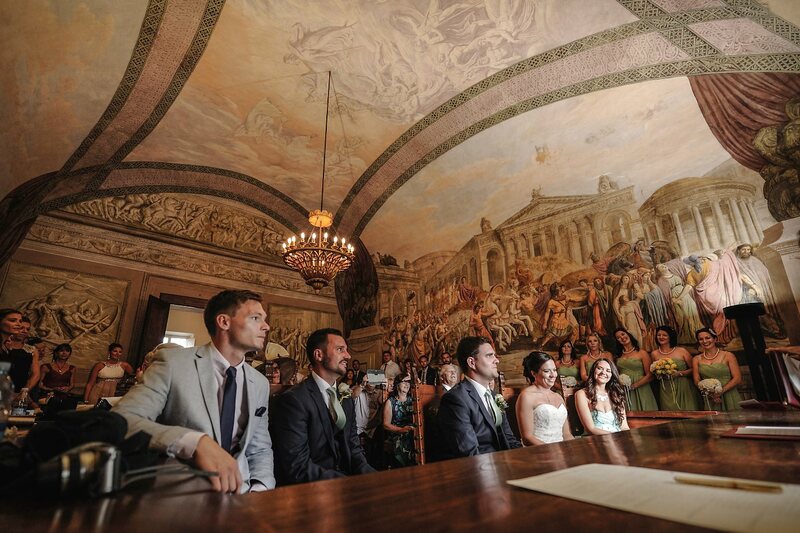 And hats off to Domenico, incredible piece of art to make Craig actually look good!